This is a very high quality plastic toy novelty. 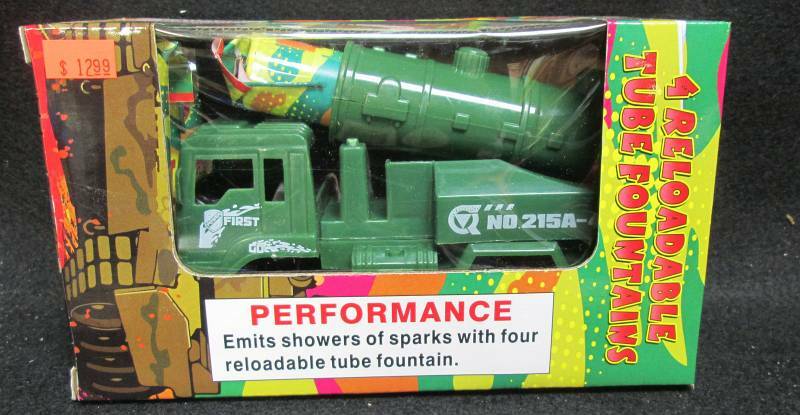 Comes packaged with 4 re-loadable tube fountains in a blister pack. Very high quality toy firework.